ENTITLED DEVELOPMENT OPPORTUNITY BEING SOLD WITH APPROVED PLANS.Your Newport Dream Fulfilled. Just add your imagination; divine water views are included! 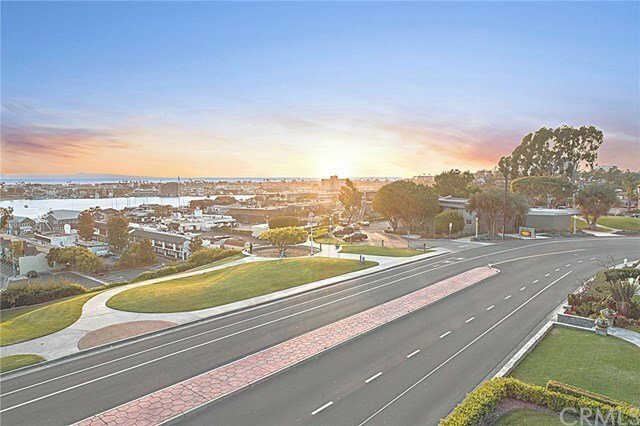 Welcome to 2404 Cliff Drive, a premium lot/home with approved plans for a newly constructed home in Newport Heights featuring 5 bed/5.5 baths, 3 car garage - with 3 distinct direct Bay, Beach, and Ocean views. Quintessentially Newport Beach, this contemporary masterpiece exemplifies emotional elegance, logistical grace and meticulous craftsmanship by renown Newport Beach architect Mark Teale. Your new location provides the perfect social address: 5 minutes to Fashion Island and the 405-55-73 Freeways.The lot currently features a lovely 3 bedroom, 2 bath home to enjoy or monetize as a luxury vacation rental. In the approved plans, the floor plan is designed to maximize convivial living space. The kitchen-living room relationship redefines the notion of open concept, boasting perfect sightlines, with room for a statement island and state of the art appliances. This architectural gem is designed to flow seamlessly over 5,100-square-feet, showing off swoon-worthy views, wide plank coastal inspired floors and sleek design accents.Upstairs you will find a spacious loft, ideal for laid back entertaining. A grand master bedroom anchors second-floor bedrooms, all featuring ensuite bathrooms.The pi&#232;ce de r&#233;sistance? A show-stopping rooftop deck that offers spectacular 180 degrees views of the Bay, Newport Coast, and mountains!